Barcalounger Dalton II Recliner Chair - Leather Recliner Chair Furniture - Lounge Chair. Recliners, Chairs, Sofas, Office Chairs and other Furniture. 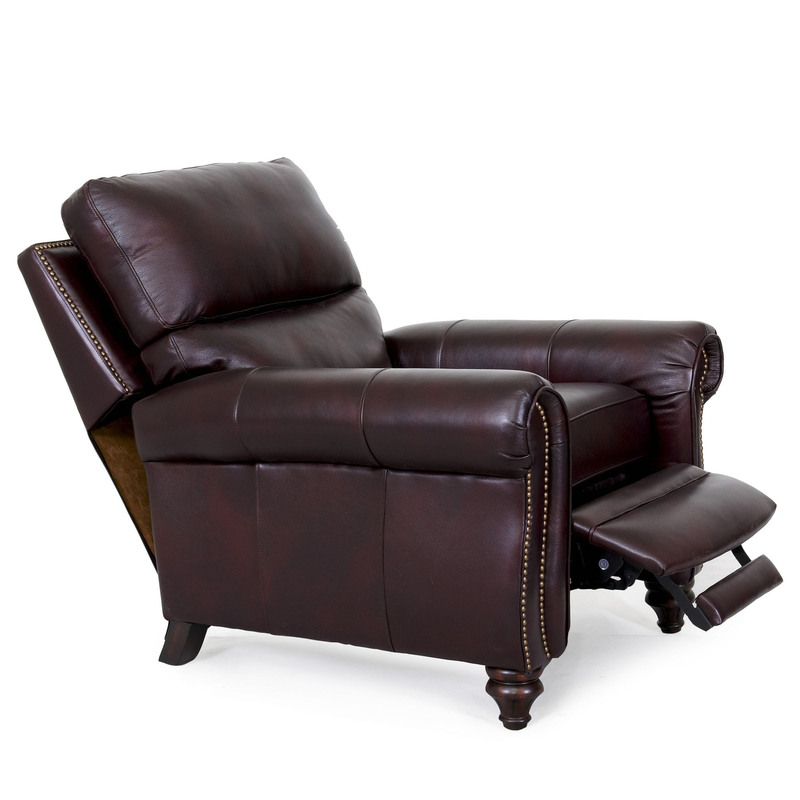 Barcalounger Dalton II Leather Recliner Lounger Chair. 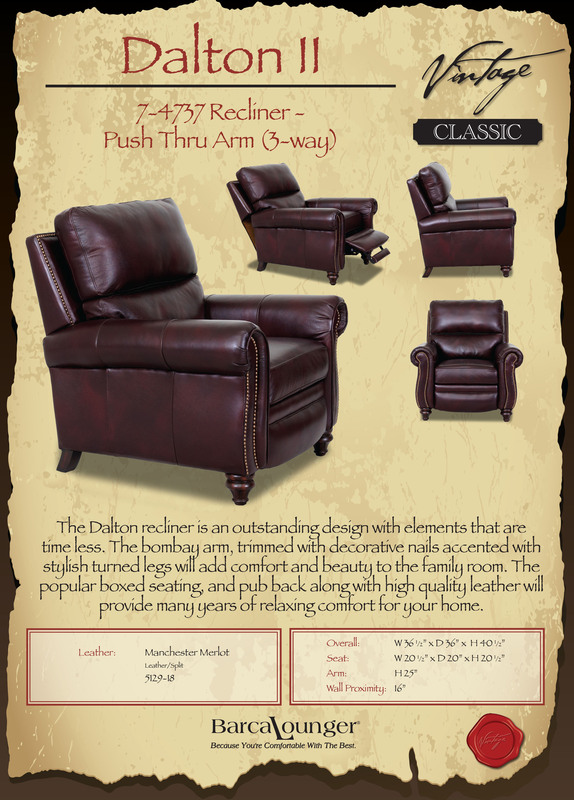 The Dalton recliner is an outstanding design with elements that are timeless. The bombay arm, trimmed with decorative nails accented with stylish turned legs will add comfort and beauty to the family room. 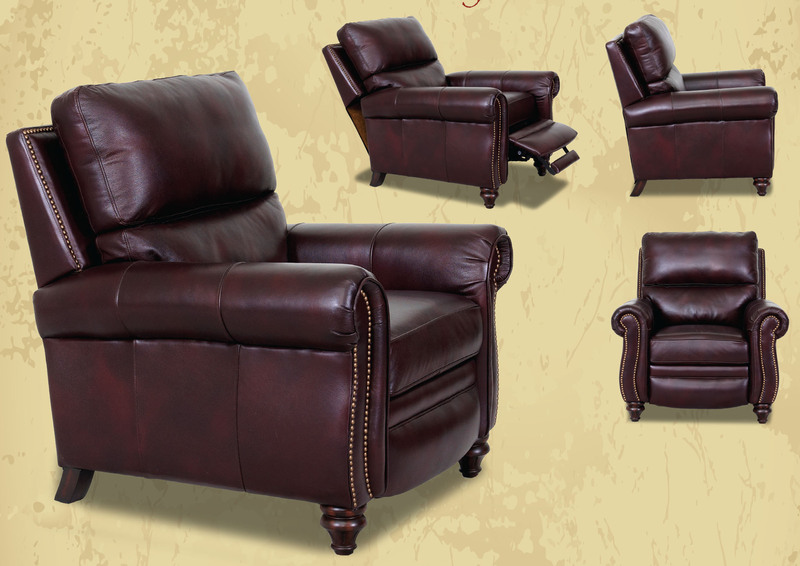 The popular boxed seating, and pub back along with the high quality leather will provide many years of relaxing comfort for your home. 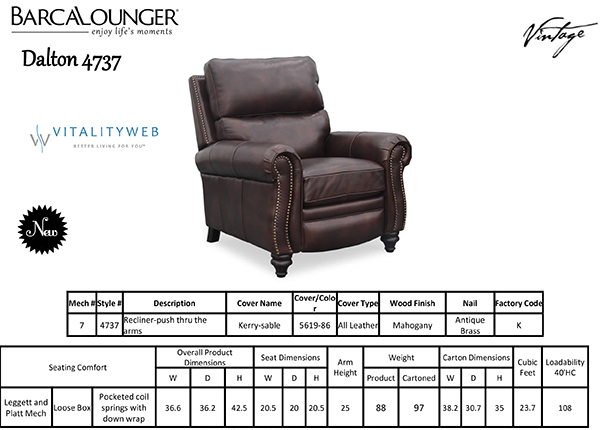 Features: Recliner Leggett and Platt Activated not operated,Mechanisms bolted to frame with I bolts, 1.8 Resilency Foam, delrin bushings on all mechanisms, padding on backs and sides of all chairs Leathers or Fabrics feature distinctive design and luxurious feel. 30 Superior individual pocketed coils in each seat cushion , fully enclosed in fabric, the foam is topped with blended down feathers. 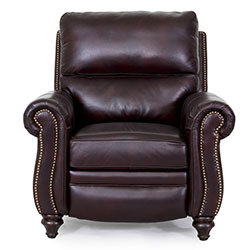 High resilence seat foam for superior durability and comfort. Approximate Seat Dimensions: H 20.5" x W 20.5" x D 20"
Chair Reclined Length is 64"
Manual Recline Chair Weight is 88 lbs - 99 lbs boxed.